1. Every photo by @herecomesthesunblog is pretty and perfect. Her blog is really lovely too! 2. @cobyscolyer is one of my closest friends and has one of the most lovely instagram feeds! It is full of pretty things and inspiring sweet treats! 3. I love @flashesofstyle photos. They are so dreamy and lovely. I also love getting a glimpse of New York City through her feed! 4. @daydreamlily has such a unique photography style that I love. She sometimes shares some of her pretty and inspiring film photography on her instagram which are amazing! 5. If you love all things vintage then you need to follow @ohsolovelystef! It's like she is actually living in the 1960s! 6. @stephanielauren's feed is full of dreamy vintage inspired photos that are just so pretty to look at! 7. 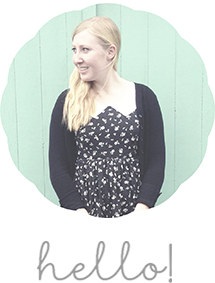 Follow @yardleychase to get a glimpse into the crafty world of Heather, from Bellebird Handmade. One of the most creative and inspiring ladies you'll ever come across. 8. @ohhellofriend was one of the first people I started to follow on Instagram and I've never gotten enough of her beautifully taken photos. Very inspiring! 9. Follow @yellowbrickroadboutique for cute and whimsical snaps of the loveliest boutique in the world. Oh how I wish I lived in New Zealand so I could go there for real! 10. @silverspies has such a simple and beautiful style that makes my heart skip a beat every time she posts a new photo. I hope you enjoyed my top 10 favourite instagrammers! I had a lot of fun making this list and I hope you might have found a few new people to follow and be inspired by. Have you made a list of your favourite instagrammers? Leave a link in the comments as I'm always on the lookout for new lovely feeds to follow!